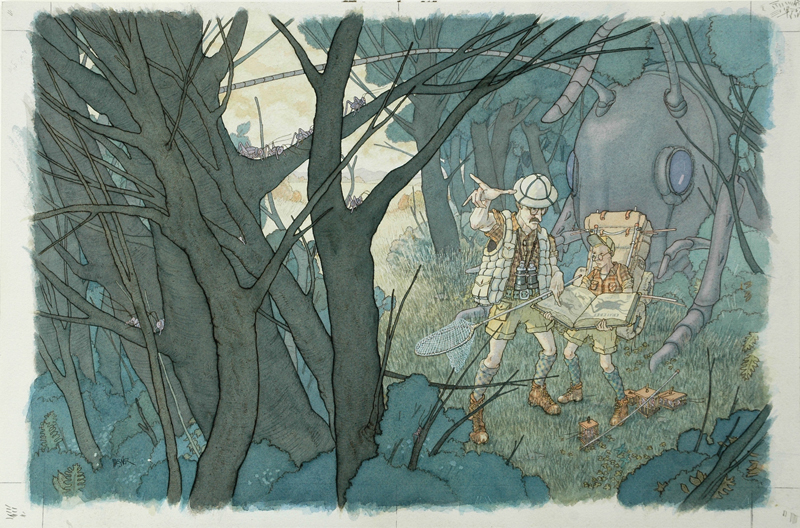 To begin these posts I am going back to the moment I entered the world of children’s books. Near the end of my senior year at the Rhode Island School of Design, Trina Schart Hyman came to school to talk about being a children’s book illustrator. She was great – casual, funny and straight talking. 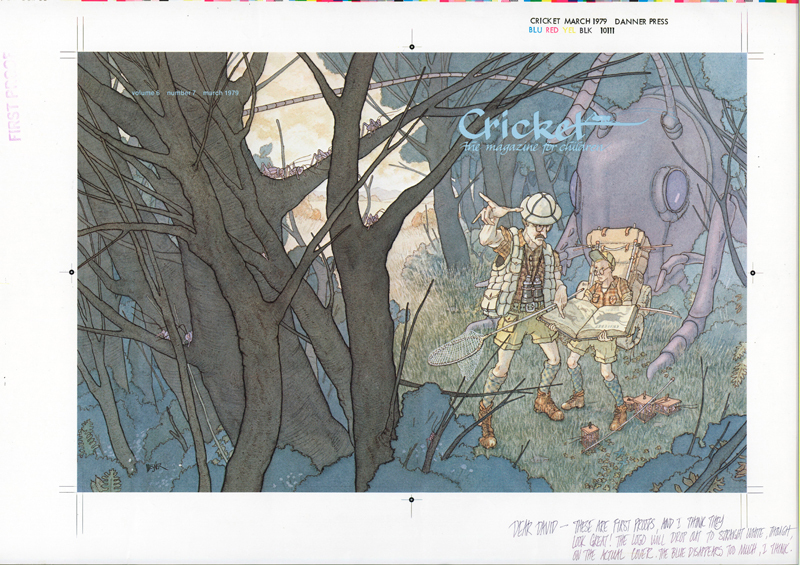 At the time she was also the art director for Cricket magazine and she stayed an extra day to look at portfolios. I showed her my work and she offered me a job creating a cover for Cricket. The rest, as they say, was history. The part of that story I never tell is about creating the art. The deadline for delivery wasn’t until September, so I had the whole summer to work on it – and I used it. I graduated in June, moved back to my parent’s house in New Jersey (surprise!) and set up a studio in the basement. My parents saved everything I drew as a kid. By the fifth grade, I was saving everything myself. This archival mentality has continued to this day – I have all the preliminary materials for all of my work. 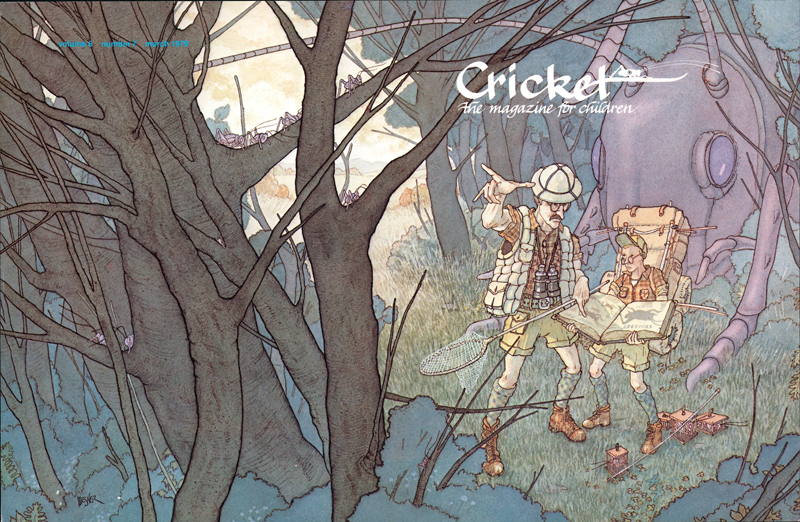 Case in point – the March 1979 cover for Cricket. 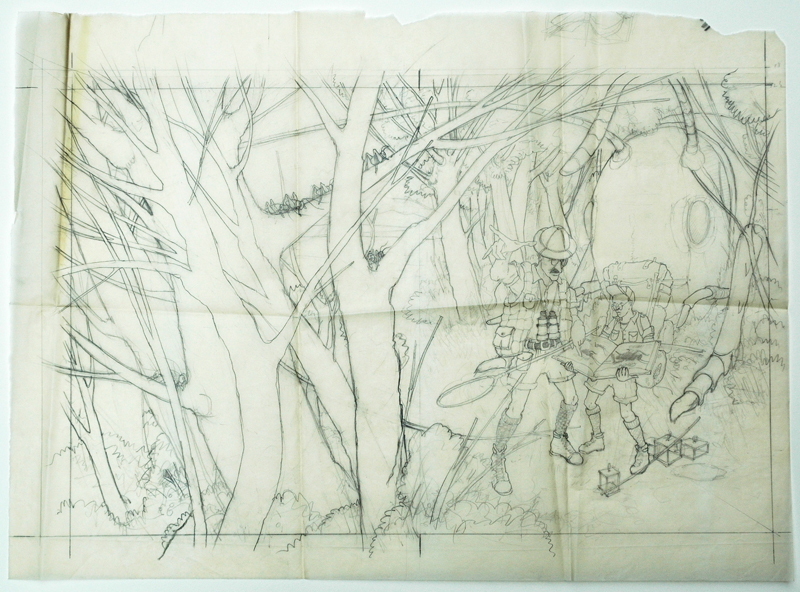 As I do today, I did the drawing on tracing paper. Unlike today, I apparently stored this drawing with little regard for its care. This issue of Cricket was the first at a larger trim size – 9” high by 7” wide. Still in my art school mindset (and thankfully with a long deadline) I decided to work up in size. Way up – 160%. It was the strangest sensation to pack this painting up, go to my local post office, hand it over to the clerk and walk away empty handed. After my classes I always had the work with me. This job was done – now what? After a couple months I received a printer’s proof. My painting! In print! 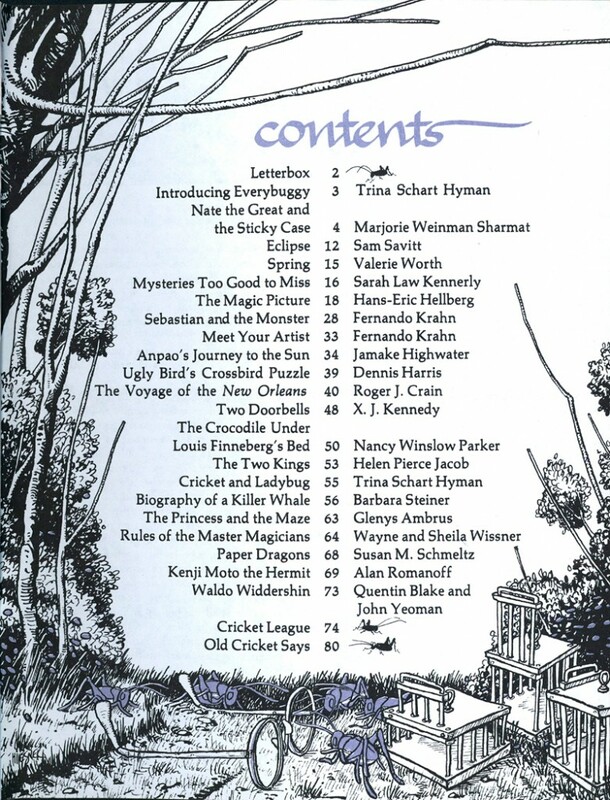 I was (almost) published! At the time, that was obviously the most important part of this experience. Now, though, the thing I cherish about this is the inscription at the lower right. After this I thought – gee, full color covers for national magazines doing whatever imagery I want – how easy! They received a couple letters complaining about the implied violence of this image – that the giant cricket had attacked the naturalist. That makes me smile.